Arthurian lore is stitched deeply into my new book, Pendragon, published in just a few short days. This is a story-telling tradition that may well go back one thousand five hundred years. Perhaps even longer, if – as some think – Arthur was not a real, historical figure but based on a mythic hero arising out of tales of Annwn, the Welsh Otherworld of gods and magical beings. Arthur matches the promise embedded in T H White’s title, The Once and Future King, by returning time and again in fireside tales, books, films, radio dramas, comics, and in every one slightly reinvented to speak to the concerns of the time in which the story is being told. That’s because Arthur’s true importance is as a symbol, rather than as an historical figure. And it’s a consideration of this element which lies at the heart of my telling: why do we need the myth of King Arthur so much that we keep bringing him back in new forms? 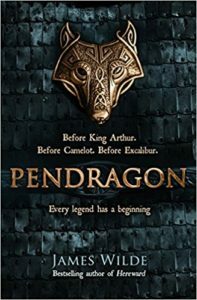 Pendragon is set one hundred years before Arthur was supposed to have lived and looks at how the man, the legend, both entwined, might have arisen out of historical events. 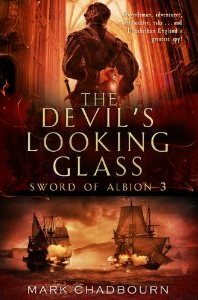 It’s decidedly and defiantly different from the Arthurian fiction you may be used to – no re-telling of oft-told tales. All the familiar elements are there, but we come at them from oblique angles in the hope that the reader might see them in a new light. In that way it’s a meditation on the meaning of King Arthur, as much as being about Arthur himself. 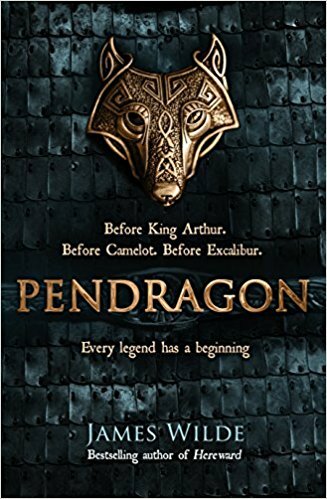 Pendragon…. the name just screams Arthur, Genevieve, Lancelot and all that goes with it. Well take that preconception and throw it out the window. Not since Bernard Cornwall took on the Arthur myth has any writer provided such a new and innovative view of the Arthurian story. This constant reinvention of Arthur is a turbulent process, but the anchors remain the same to hold the idea fast – Excalibur, Camelot, the Round Table and the rest. And they too are symbols, more powerful than their mundane appearance suggests. Folklore speaks to why we keep calling Arthur back into our world. He is the hero who sleeps beneath the hill with his loyal band of followers, waiting to be summoned in the hour of England’s – or the world’s – greatest need. The saviour. The ideal. The non-religious symbol of something greater than ourselves that speaks to the highest callings – of service, of sacrifice, of the values, the striving for goodness, that bind us all together. There are times when we need Camelot more than ever. This is one of them, I think. The UK has never been more divided. The US too. Divided socially, politically, geographically, financially, divided in how we see ourselves, in our purpose. It’s important to look to greater principles to find those ties that bind, if divisions are ever to be overcome. And lest we forget, symbols are more powerful than words, more powerful indeed than the men and women who purport to lead us. Countries which marshall their national symbols thrive. Those which don’t, struggle. The USA, a country built on symbols, now almost wholly communicates with them. From images of an eagle, or stars and stripes, or the gunslinger standing alone in desolate landscape, we understand very complex, multi-faceted ideas about the philosophy of that nation. And that communication is more powerful than anything when the USA is selling itself across the world. King Arthur is also a symbol of Britain. He sells a layered but powerful idea of who we are as a nation. As we edge out into an uncertain world, we need that too.